Match ends, Ajax 2, Panathinaikos 0. Second Half ends, Ajax 2, Panathinaikos 0. Foul by Vaclav Cerny (Ajax). Zeca (Panathinaikos) wins a free kick on the left wing. Lautaro Rinaldi (Panathinaikos) wins a free kick in the defensive half. Heiko Westermann (Ajax) wins a free kick in the attacking half. Foul by Mubarak Wakaso (Panathinaikos). Rodrigo Moledo (Panathinaikos) wins a free kick in the defensive half. 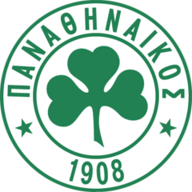 Delay in match Zeca (Panathinaikos) because of an injury. Kenny Tete (Ajax) wins a free kick in the defensive half. Foul by Robin Lod (Panathinaikos). Substitution, Panathinaikos. Lautaro Rinaldi replaces Víctor Ibarbo. Robin Lod (Panathinaikos) wins a free kick in the defensive half. Offside, Panathinaikos. Ousmane Coulibaly tries a through ball, but Robin Lod is caught offside. Attempt missed. Donny van de Beek (Ajax) right footed shot from outside the box is close, but misses to the right. Assisted by Pelle Clement. Substitution, Ajax. Frenkie de Jong replaces Lasse Schöne. Attempt missed. Matthijs de Ligt (Ajax) right footed shot from outside the box is high and wide to the right. Foul by Abdelhak Nouri (Ajax). Ousmane Coulibaly (Panathinaikos) wins a free kick in the defensive half. Foul by Heiko Westermann (Ajax). Víctor Ibarbo (Panathinaikos) wins a free kick in the defensive half. Attempt blocked. Vaclav Cerny (Ajax) left footed shot from outside the box is blocked. Assisted by Donny van de Beek. Substitution, Panathinaikos. Cristian Ledesma replaces Lucas Villafañez. Substitution, Ajax. Pelle Clement replaces Amin Younes. Attempt missed. Mateo Cassierra (Ajax) right footed shot from the centre of the box is too high. Abdelhak Nouri (Ajax) wins a free kick on the left wing. Attempt missed. Lucas Villafañez (Panathinaikos) right footed shot from outside the box is high and wide to the right. Attempt missed. Lasse Schöne (Ajax) right footed shot from outside the box is just a bit too high. Assisted by Donny van de Beek. Substitution, Panathinaikos. Ivan Ivanov replaces Christopher Samba because of an injury. Attempt missed. Donny van de Beek (Ajax) right footed shot from the right side of the box is close, but misses to the right. Assisted by Kenny Tete. Attempt blocked. Amin Younes (Ajax) right footed shot from the centre of the box is blocked. Assisted by Mateo Cassierra. Mubarak Wakaso (Panathinaikos) is shown the yellow card for a bad foul. Goal! 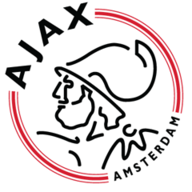 Ajax 2, Panathinaikos 0. Kenny Tete (Ajax) right footed shot from outside the box to the bottom left corner. Hand ball by Mubarak Wakaso (Panathinaikos). Víctor Ibarbo (Panathinaikos) wins a free kick on the left wing. Second Half begins Ajax 1, Panathinaikos 0. First Half ends, Ajax 1, Panathinaikos 0. Víctor Ibarbo (Panathinaikos) wins a free kick on the right wing. Attempt missed. Lasse Schöne (Ajax) right footed shot from outside the box is high and wide to the right. Offside, Panathinaikos. Luke Steele tries a through ball, but Víctor Ibarbo is caught offside. Mubarak Wakaso (Panathinaikos) wins a free kick in the attacking half. Goal! Ajax 1, Panathinaikos 0. Lasse Schöne (Ajax) from a free kick with a right footed shot to the bottom right corner. Attempt missed. Vaclav Cerny (Ajax) left footed shot from outside the box is close, but misses to the right. Assisted by Amin Younes. Foul by Kenny Tete (Ajax). Niklas Hult (Panathinaikos) wins a free kick in the defensive half. Mitchell Dijks (Ajax) wins a free kick in the defensive half. Foul by Ousmane Coulibaly (Panathinaikos). Attempt missed. Robin Lod (Panathinaikos) right footed shot from the centre of the box misses to the left. Assisted by Ousmane Coulibaly with a cross. Víctor Ibarbo (Panathinaikos) hits the right post with a right footed shot from a difficult angle on the right. Assisted by Lucas Villafañez. Mateo Cassierra (Ajax) wins a free kick in the attacking half. Foul by Christopher Samba (Panathinaikos). Hand ball by Donny van de Beek (Ajax). Attempt missed. Lucas Villafañez (Panathinaikos) right footed shot from more than 40 yards on the right wing is close, but misses to the left. Assisted by Víctor Ibarbo. Attempt saved. Mubarak Wakaso (Panathinaikos) left footed shot from outside the box is saved in the top centre of the goal. Víctor Ibarbo (Panathinaikos) wins a free kick in the attacking half. Corner, Ajax. Conceded by Robin Lod. Amin Younes (Ajax) wins a free kick on the left wing. Foul by Lucas Villafañez (Panathinaikos). Mitchell Dijks (Ajax) is shown the yellow card for a bad foul. Zeca (Panathinaikos) wins a free kick on the right wing. Lucas Villafañez (Panathinaikos) is shown the yellow card for a bad foul. Corner, Ajax. Conceded by Rodrigo Moledo. Donny van de Beek (Ajax) wins a free kick on the right wing. Foul by Rodrigo Moledo (Panathinaikos). Zeca (Panathinaikos) wins a free kick in the defensive half. Attempt missed. Heiko Westermann (Ajax) header from the centre of the box misses to the left. Assisted by Lasse Schöne with a cross following a corner. Corner, Ajax. Conceded by Zeca.